...... Classic PhoneTools provides you with an email client, contacts management, customizable voice mail and powerful fax capabilities. It includes automatic modem detection and various wizards that make setup and communication easy. 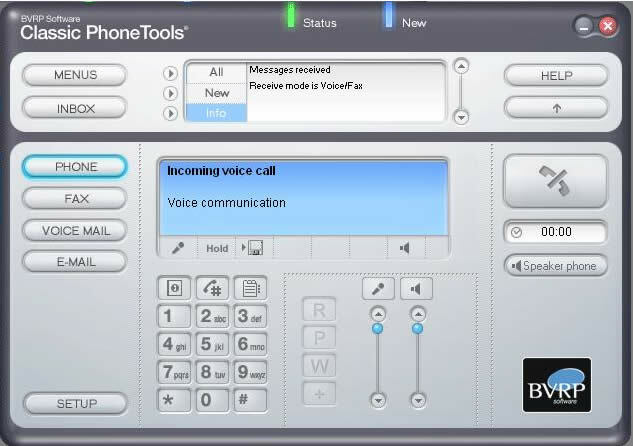 Use Classic PhoneTools with connections via phone line, not broadband. Qweas is providing links to Classic PhoneTools 6.0 as a courtesy, and makes no representations regarding Classic PhoneTools or any other applications or any information related thereto. Any questions, complaints or claims regarding this application Classic PhoneTools 6.0 must be directed to the appropriate software vendor. You may click the publisher link of Classic PhoneTools on the top of this page to get more details about the vendor.